What is the so-called “Internet of things” and how does it differ from the regular internet we all know and love? What does “IoT” mean? Is it just a passing buzzword or is it an inevitable future that you’ll need to be aware of sooner or later? They’re all good questions! We’ll provide all the answers you seek and more. When you visit Facebook, you’re telling your browser to notify Facebook that you want to see your feed, and Facebook sends all that data back to your browser for you to see. Upon logging into WhatsApp, you’re telling your app to connect to WhatsApp and let everyone else on WhatsApp know you’re online. When you send a message, it passes through WhatsApp and WhatsApp relays it to the recipient. When you play Fortnite, your key presses and mouse movements are sent to Fortnite, interpreted and applied to game objects, and broadcasted to all other players in the game. For a long time, every action on the internet has been initiated by a human and ultimately passed on to another human. Our current internet is an “internet of people”—with data created, modified, deleted, sent, and received by people. The Internet of Things (often abbreviated as IoT) is a network of devices where those devices communicate with each other without any human interference. The devices themselves create, modify, delete, send, and receive data between each other on their own, and use that data to make decisions. That’s the key to IoT: the exchange of data between devices. Devices can piggyback on our existing internet and connect using Wi-Fi, or they can use Bluetooth for closer-ranged direct connectivity without a middleman. Other options exist too, such as ZigBee and Z-Wave What's the Difference Between Zigbee and Z-Wave? Here's Everything You Need to Know What's the Difference Between Zigbee and Z-Wave? Here's Everything You Need to Know To ensure your smart home devices communicate well with each other, it's important to know what wireless language they speak! Here's everything you need to know about Zigbee and Z-wave. Read More . But even after connecting, devices can only communicate with each other if they can “speak the same language” (i.e. they need to be able to decode the data sent to them). With so many potential “languages,” it’s impossible for one device to support them all. That’s why many IoT platforms rely on an “interpreter” device. For example, SmartThings products communicate with each other by passing data through a SmartThings Hub. This means each device only needs to know the Hub’s language, while the Hub knows how to speak to each device. This relay allows the devices to indirectly communicate with ease. You can think of an IoT platform as the set of tools that allows various devices to connect and communicate. We already talked about hubs above, but they’re only one part of an IoT platform. 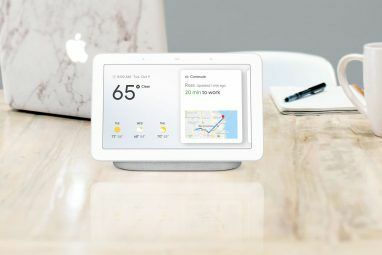 A platform is the collection of hub (also called a gateway device), plus the communication protocol used by the platform (such as Wi-Fi, ZigBee, or Z-Wave), plus the underlying software that processes and transmits the network data. It also includes the user-facing applications that allow humans to interact with the devices on the platform. For example, SmartThings has its Hub as the gateway device. It also supports any device that can “speak” Wi-Fi, ZigBee, and Z-Wave. These devices communicate through the Hub (e.g. 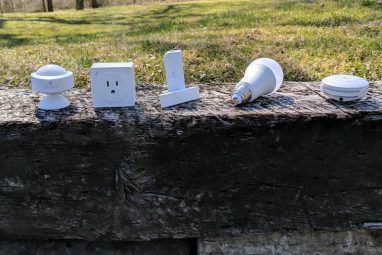 motion sensor detects movement, notifies the Hub, which turns on connected lightbulbs). The end user can also interact through the SmartThings app (e.g. turning off specific lights). This whole ecosystem is the SmartThings IoT platform. How Many Devices Are Connected to the Internet of Things? 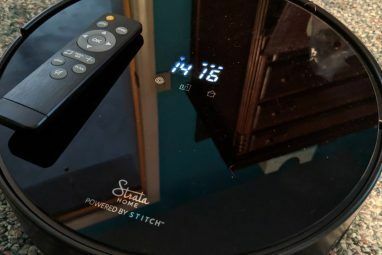 According to Statista, there were approximately 23 billion connected IoT devices in 2018. That number is expected to grow exponentially, to 31 billion connected IoT devices in 2020 all the way up to 75 billion connected IoT devices in 2025. The Internet of Things can do a lot that humans can’t. This leads to greater efficiency, convenience, and in some cases, even safety. Devices process data faster than we do. There’s always significant lag in human-to-human interactions. When you send an email, who knows how long until the recipient reads it, processes it, then writes up a reply? Machines can analyze, interpret, and reply to data much faster than we can. Devices are better at managing data. Devices are designed to dedicate all of their resources to a specific set of tasks, whereas humans are multitaskers. We forget easily, but devices don’t. We can automate almost anything. Imagine if your coffee maker started making coffee on its own as soon as your alarm clock rang. Or if your lawn sprinklers stayed off when a weather sensor detected rain. Or you received an automatic SMS alert when a family member had a medical issue. Consider a future where all cars are self-driven and can communicate in real time with nearby cars, leading to fewer accidents and traffic jams. Or where all electrical appliances have access to the city’s electrical grid data and only run during low-demand times of day when electricity is cheapest. But the Internet of Things isn’t without its downsides. Remember, a device can only speak to another device if they understand the same language. Well, there are far too many languages right now, and too many devices are incompatible with each other. Data security is extremely important. Device-to-device communication is all good until a human decides to spoof a connection and remotely hijack a device for malicious purposes. This may not be a huge issue for, say, a device that regulates home temperature. But imagine if a hacker gained access to a network of medical devices. Device malfunctions are also a real concern. Software and hardware can both be buggy, and sometimes bugs are major. With the Internet of Things, bugs in data collection or data processing can introduce massive problems into large systems that we grow to depend on, and network crashes could be devastating. Data privacy is more important than ever. Maybe the widespread collection and processing of data is something that we shouldn’t pursue, even with the promise of a more efficient, more convenient tomorrow. 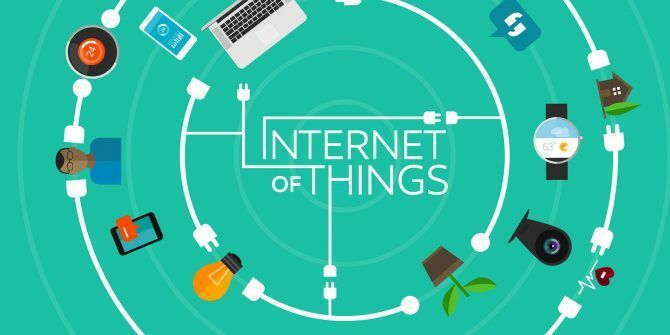 Read more about why the Internet of Things should scare you 7 Reasons Why The Internet of Things Should Scare You 7 Reasons Why The Internet of Things Should Scare You The potential benefits of the Internet of Things grow bright, while the dangers are cast into the quiet shadows. It's time to draw attention to these dangers with seven terrifying promises of the IoT. Read More . What Can You Do With the Internet of Things? The Internet of Things is already used in many ways, and you’ve probably encountered a few without even realizing it. Smart home automation is the main idea for consumers like you and me. As more devices in your home become connected to each other, the more you can automate and accomplish using sensors, timers, and triggers. Learn more in our smart home guide for newbies How to Build an Effective and Affordable Smart Home From the Ground Up How to Build an Effective and Affordable Smart Home From the Ground Up Heard about smart homes but have no idea what they are? Interested in smart gadgets but don't know where to start? This article has everything you need to start building your own smart home. Read More . It’s even better if you have DIY skills and a tinkering spirit. Using a microcontroller and Blynk, you can create all kinds of DIY IoT projects and easily read data from your devices. You can also make some interesting DIY IoT projects using a Raspberry Pi and Windows 10 IoT Core. The Internet of Things is also revolutionizing healthcare and medical devices. We’re seeing better patient care and tracking, smarter surgeries, earlier detection of ailments, and even robotic healthcare assistants. For example, Wi-Fi pacemakers with alerts have saved victims from impending heart attacks. For more ideas, check out some fascinating Internet of Things products The 10 Best Internet of Things Gadgets You Must Try The 10 Best Internet of Things Gadgets You Must Try Just a decade ago, gadgets like these were the stuff of imagination. But now, Internet-connected toys, headphones, luggage and more are widely available. Here are some amazing products you should definitely check out! Read More ! Explore more about: Internet of Things, Smart Home. "Right now, the internet mainly consists of human-to-human actions"